DSAOC’s Community Corner shares the stories of individuals with Down syndrome, and the people and organizations making a difference in their lives. JOIN US from 5:30-7:30 p.m. 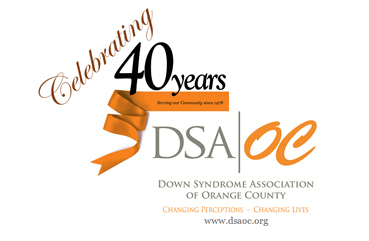 The Down Syndrome Association of Orange County (DSAOC) is the original Down syndrome organization for greater Orange County - serving families and our community since 1978. DSAOC’s Mission is to create a place for connection, information and hope for people with Down syndrome and their families throughout greater Orange County, to promote Down syndrome awareness through community outreach, and to offer programs, services and support that aim to empower individuals with Down syndrome to reach their full potential. Our Vision is to be a one-stop-shop for all things Down syndrome related, and to be a model organization for community collaboration and Down syndrome awareness, to change perceptions and change lives. 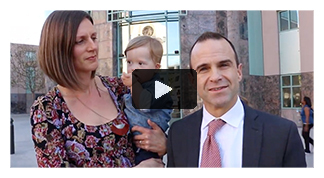 We were founded in 1978 by a small group of dedicated parents sitting around a kitchen table putting together resource materials and providing support to new parents. Now, more than thirty five years later, DSAOC continues to build on those strong traditions of the past by serving more than 2,000 families in and around Orange County. The DSAOC Center, located in Costa Mesa, is the venue for many of our activities, events, seminars, and support groups. In addition, much of our work includes outreach and collaboration with an expanding network of educators, healthcare providers, researchers, therapists, employers, policymakers, and many others in the community. You too are invited to join us in our journey to a world where every person with Down syndrome is a valued member of society. View a current list of our programs and services here. We hope you will find the information here at www.dsaoc.org to be helpful! To learn more about DSAOC click here. Check out DSAOC's 2018 "Year in Review"
The DSAOC Dad's group is on FACEBOOK! 1st Thursday of most months from 7-9 p.m. - Circle of Friends: For NEW & Expectant Parents, as well as parents who have children with Down syndrome of all ages who want to network and socialize with others on a similar journey. SPECIAL PRESENTATIONS and more! Call 714-540-5794 or Email admin@dsaoc.org for the schedule. Most Mondays beginning at 12noon - Homeschool Friends Social & Networking Group, for parents and caregivers of children with Down syndrome that are currently home schooling, or are considering this educational option. Children are welcome to come for social time. Call 714-540-5794 or Email admin@dsaoc.org for the schedule. Are you a dad or grandfather of a loved one with Down syndrome? Join our DSAOC Dads Group!